What will be President Thomas S. Monson’s legacy? Doubtless, he will be remembered as the prophet who looked after the widow, the orphan, the downtrodden. He will be remembered as the prophet of the Church—the prophet always “to the rescue” of the one. But what is the message he has left behind? To find the answer, I went to his conference talks—all 226 of them—and started digging in. I analyzed the frequency of words he used, studied the scriptures he cited most, and pondered talks he gave after important milestones. From his first talk in general conference in 1963 to his first as a member of the First Presidency in 1986, from his first as a prophet in 2008 to his last-ever conference talk in April 2017, he has given us volumes of valuable teachings and stories. Over the course of 50+ years, he has delivered 226 talks, cited 853 different scriptures, and used around 5,000 quotes (about 22 per talk!). When compiled, his conference talks occupy almost 900 pages with about 480,000 words (three times more than the New Testament and about 100,000 words shy of War and Peace—and that doesn’t even include his devotionals, firesides, etc.). He often spoke of ‘eyes to see and ears to hear’ (eight times, to be exact), and he will be remembered for eliciting laughter for using both—with a wide-eyed look around the conference center and an unexpected moment of wiggling his ears during his conference address (“Examples of Righteousness,” general conference, April 2008). Those who knew him best commented on his ability to be involved in such a serious work without taking himself too seriously. Once, in a priesthood session, President Gordon B. Hinckley stood up to give the closing remarks after Thomas S. Monson had just concluded his address. President Hinckley stood at the pulpit for a moment, adjusted the microphone, and then said with a smile, “Brother Monson is a very difficult man to follow.” After some laughter, his smile turned contemplative as he shared what we all have come to know, “He is full of humor and yet great sincerity” (“The Need for Greater Kindness,” general conference, April 2006). And such it was. He could make the mundane memorable and the spiritual stick. No matter what words he had already prepared, he was willing to follow the Spirit, which left every talk full of his cheery disposition and wise counsel. He really had a knack for going off script. I had the privilege of sitting behind President Monson once on the front row when he spoke at BYU. From my vantage point, I could see his Teleprompters. Now, I have used Teleprompters on numerous occasions, and the smooth scroll to which I was accustomed to was wonderfully absent. It started off stationary for the first five minutes, then zoomed down to the middle, stopped, flew back up, started to scroll, stopped, whipped back down—and thus it went for the whole talk. There were always two talks given by President Monson: the one spoken and the one written (just listen to any of his talks with the text open sometime). I don’t believe this was because he wanted to take anything back, but rather because he was as good with the spoken word as he was with the written one. He had a way of engaging listeners in an authentic way and then translating that into a beautiful experience for readers, without losing the message. With all of that wisdom, I wanted to know what words President Monson most used in general conference. Of all the things he shared with the Latter-day Saints, what weighed most on his mind? After discounting the common words, here is the list of the top 10 in order: God, Lord, life, do, Jesus, priesthood, time, love, man, home. 1. He had a very close relationship with Heavenly Father and Jesus Christ and had a pervasive desire for us to do the same. And since most of his references to “life” had to do with Christ’s life, that it is a further testament to that fact. 3. Nothing in this world is more important than family. Make sure your home is a place of love. Combining all of those together though, it is about letting Deity work through us to bless the world—starting with our own home. “Tenderly the Master speaks to…all: ‘Come back. Come up. Come in. Come home. Come unto me.’ ...As His special witness, I testify to you that He lives and that He awaits our triumphant return. 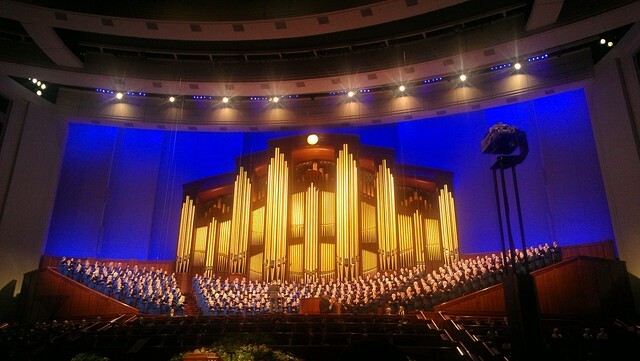 That such a return will be ours, I pray humbly in His holy name—even Jesus Christ, our Savior and our Redeemer, amen.” (“The Race of Life,” general conference, April 2012). 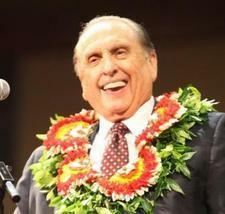 President Monson, you devoted your life to the Lord’s work, and the world is a better place because of it. Thank you for your words. Thank you for your life. Thank you for being our prophet, my prophet. I know that God will remain with you, ‘till we meet again. Continue to keep President Monson's messages alive with Teachings of Thomas S. Monson, Consider the Blessings—a compilation of some of President Monson's most beloved stories—andA Future as Bright as Your Faith, which provides one powerful quote from the prophet you can read with your family every day of the year.